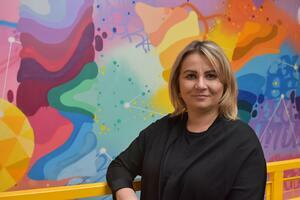 creative werks Spotlight on... Agnes Kalejta! Agnes Kalejta is a bundle of energy - the type of focused energy you look for to manage part of a 24/7 operation. 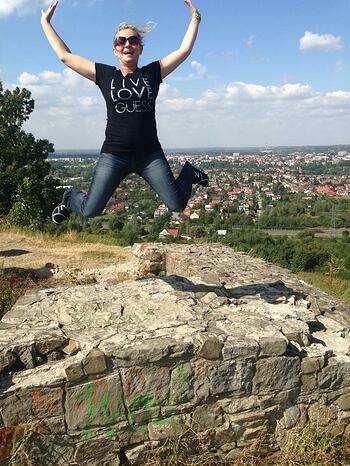 Agnes grew up in Tychy, Poland (near Krakow) and studied Environmental Engineering at Silesian University in Gliwice. After marrying her husband in 1998, the two made their way to America in 2003. She joined the team five years ago, when she stepped into a role in the creative werks Quality department. In 2016, when cw's Bartlett facility opened, Agnes gladly moved to our Sanitation department as Senior Sanitation Manager. Her energetic and positive attitude is also well suited to being a mother and wife; when not at work she enjoys carting the family around on different adventures and driving her daughters, Vivian and Victoria, to their Polish dance competitions. In her spare time she enjoys traveling, fun nights out, and all things fashion. Read on to learn more about our charismatic creative werker! What three events made the biggest impact on who you are today? I would say my experience at college earning my degree, the birth of my children (the most important event!! ), and making the tough and bold decision to move to America. Life would be very different without those three events. What’s the most unusual but fun experience you’ve had? It sounds pretty normal, but honestly jumping on the trampoline with my kids. Do you have any irrational fears? If so, what are they? If anything I would like to say I have a fear of sickness. Steer clear of me if you have a cold! What was your first impression of creative werks? It seemed like really exciting place to be. There was so much happening, and I felt like I had landed at the best company in the world. Turns out, I was right! What do you tend to splurge on? My big splurges are on shoes and purses. I love them; I can never have too many. How many times do you hit snooze in the morning? I always set my alarm for way earlier than I need to be up, because I know I will hit snooze a few times. What was something you found silly until you tried it? This might seem small-scale compared to other answers, but dipping fries in frosties/milkshakes/ice cream. So good! What signs make you think someone will be successful here at creative werks? The respect they give to their coworkers. 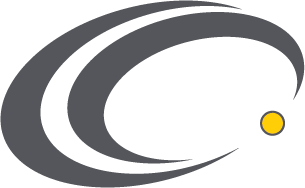 If you treat treating your team like family you'll do well here at cw..
What was your best mic drop moment? Maybe the times I help with charity. I work a lot of auctions for charities that help sick children and moderate them on Facebook. It's a big moment for me. If you could share a meal with anyone, living or deceased, who would it be? I think would be my father in law; he passed away three years ago and I would love to see him again. 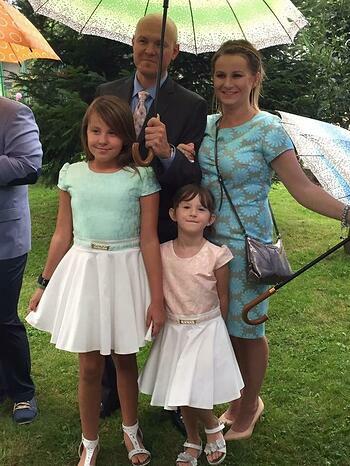 Fashionista: Agnes and her family looking stylish at a wedding. Adventurer: Agnes on a hike in her homeland of Poland! 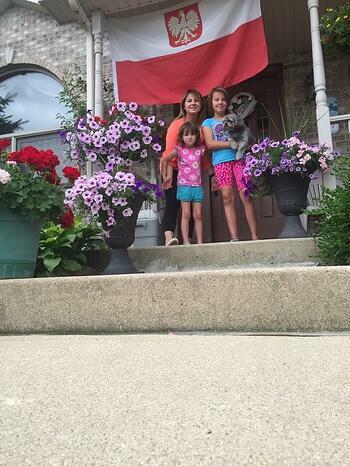 Polish Pride: Agnes and her daughters cheered Poland's soccer team in the World Cup!